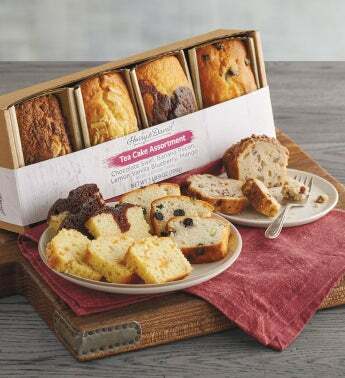 Enjoy the satisfying tastes of dense, moist tea cakes bursting with incredible flavor. The chocolate swirl cake blends together decadent chocolate and vanilla cakes, while the lemon vanilla blueberry and mango almond cakes are crafted with real fruit pieces. Finally, the banana pecan loaf cake is topped with a sweet cocoa streusel that perfectly complements the rich cake beneath.